WASHINGTON, DC — Coal is still very much at the center of the debate on the future of energy. For some, the holy grail is a new type of technology that captures some coal carbon emissions. Science correspondent Miles O’Brien joins Judy Woodruff to take a closer look at the results coming out of one of the largest fossil fuel power plants in the country and the obstacles stopping them from collecting more. 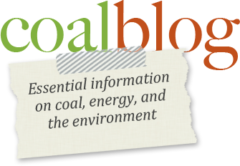 Categories: Climate Change, Energy, Environment, EPA, Marketplace Information, Policy, Power Generation, Regulation	| Comments Off on Could carbon capturing make ‘clean coal’ a reality?